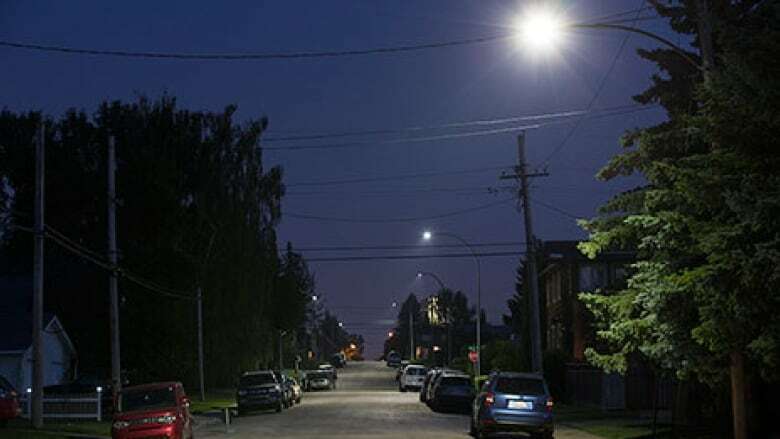 A Calgary woman, who says a flickering street light outside her home has triggered numerous seizures, is worried the LED bulb replaced by the city will eventually break down again and cause more seizures. A Calgary woman says a flickering street light outside her home has triggered numerous seizures and she worries the LED fixture, which has since been replaced by the city, will eventually break down and start flickering again. Kathryn Mackay said the street light, roughly six metres from her doorstep in the north-central community of Tuxedo Park, had been flickering on and off for about a year and a half. She suffers from grand mal seizures and is photosensitive, meaning flashing lights trigger episodes. "The damage is already done. I already have stitches in my head because of the seizures I received from the strobing light out front," Mackay told the Calgary Eyeopener on Friday. She said a crew came to replace the fixture on Thursday, but she worries there's a bigger problem with the new LED fixtures the city has recently installed and it's only a matter of time before it happens again. Chris McGeachy, a city roads department spokesperson, said the flickering fixture will likely be sent to the manufacturer. After numerous calls to the city and 311, Mackay said the response was more swift this time because she spoke to the media. "[The city] didn't understand what a grand mal seizure was. They didn't seem to care. They said they would get to it when they got a chance." A grand mal seizure occurs in people who have epilepsy. During the seizure the person's muscles stiffen, causing violent jerking and a loss of consciousness. Mackay said she's nervous every time it gets dark outside and the street lights go on. She's hung heavy blankets over her windows that face the light, but said that only solves part of the problem. At other times, she said letting her dogs outside has brought on a seizure because the strobing light comes through the door. McGeachy said any problems with street lights can be reported through the City of Calgary website.